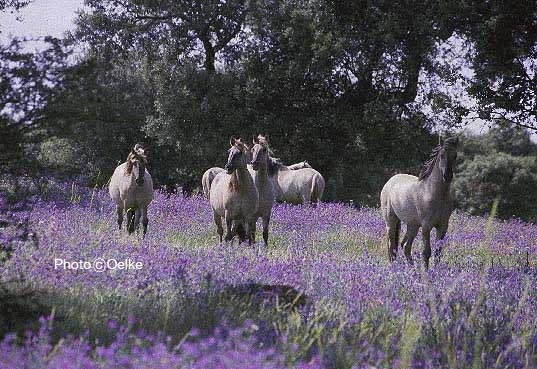 Sorraia Horses are a remnant population of an indigenous, South Iberian wild horse, which survived in the formerly inaccessible lowlands of the river Sorraia in Portugal until the early 1900s. The Iberian scientist and horse expert Dr. Ruy d'Andrade discovered these horses in 1920 and he is responsible for their preservation. Dr d'Andrade's studies convinced him that they were a primitive, direct descendant of a wild indigenous South Iberian horse, and an ancestor of the Andalusian and Lusitano breeds. 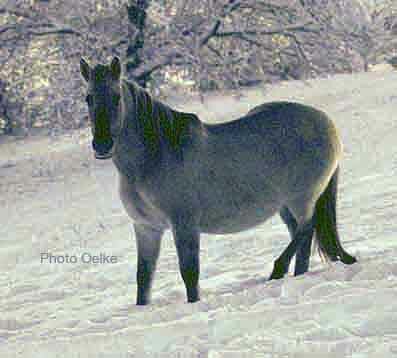 In contrast to what one can find in most pertaining literature, where one author copies from another without actual personal knowledge, Sorraias are not ponies, but horses, and they must not be confused with the Garrano, a native North Portuguese pony breed, of which the Sorraia is not a relative, as is often stated. 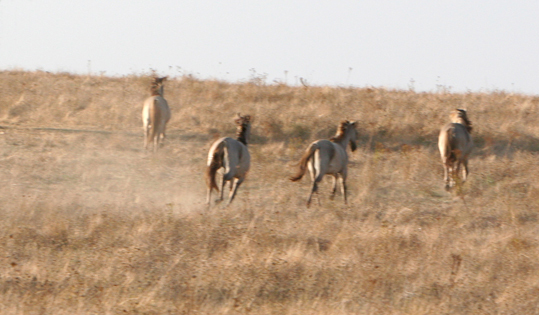 Instead, the Sorraia is a completely different type of horse. Very few Sorraias exist today—approx. 200—and most are in private hands. Therefore, their destiny is uncertain. They are no longer allowed to live wild, although some herds have to fend for themselves year-round, with little or no help from Man, and since 2003, a small preserve, or refuge, exists, where they actually live wild again. All Sorraias descend from only 11 or 12 animals that d'Andrade secured in the 1930s, and inbreeding is therefore incredibly high. Unfortunately, inbreeding Sorraias was and is often unecessarily intensified even further. Sorraias have no history as a Man-made breed. DNA-analyses indicate a close relationship to the Tarpan. They can be tamed and turned into good mounts and work horses—sometimes they even make outstanding riding horses, but they can maintain their primitiveness, instincts, specific traits, natural qualities, integrity and identity only if at least a nucleus herd is allowed to live wild. As mentioned, only one such preserve has been established so far.